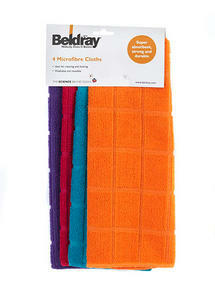 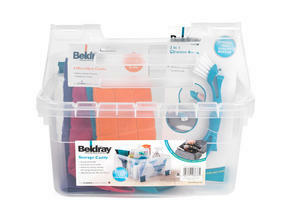 Stay well equipped with this superb Beldray Cleaning Set. 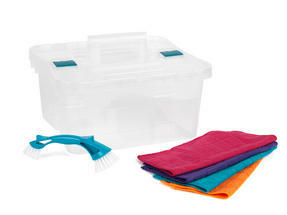 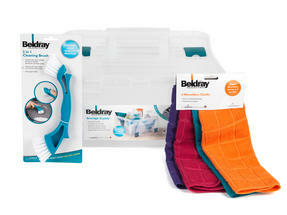 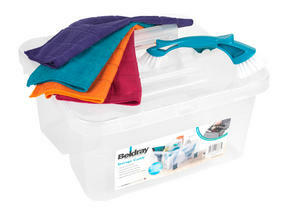 Store all your cleaning products with ease using the Beldray Caddy - the handy all-in-one storage solution. Measuring at just 23 x 8 x 4.5cm, the mini brush is perfect for cleaning difficult corners and spaces, such as dirtied tile grouting. 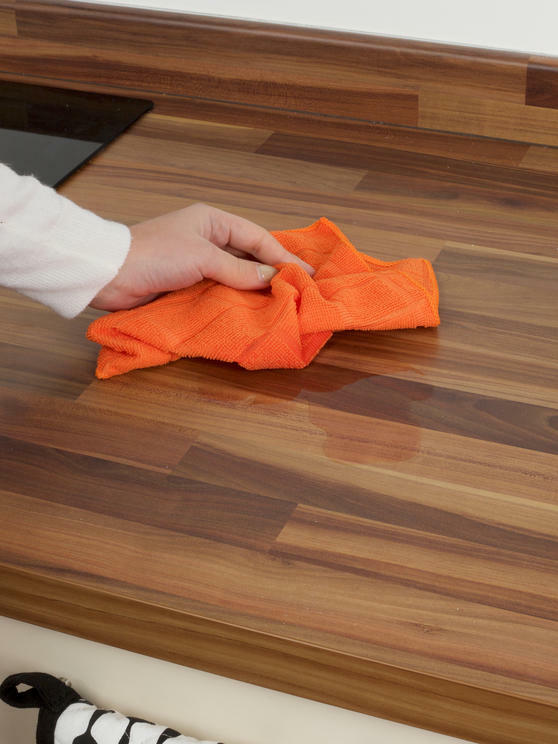 Measuring 30 x 30cm, the microfibre cloths can be used for polishing, wiping or scrubbing and are ideal for everyday use on any surface of your home. 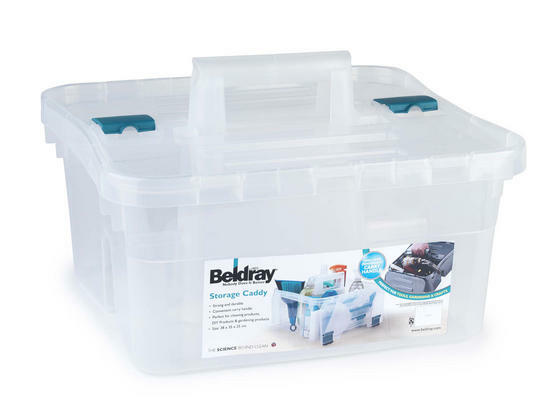 Keep your home well-organised with this fantastic Beldray Cleaning Set - including a caddy for storing all your cleaning essentials. The brush can make your kitchen and bathroom surfaces spotless while the lightweight handle provides comfort as you clean. 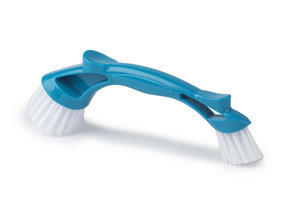 Remove unwanted dirt from your home with ease, the clever brush bristles and cloths are very efficient without being abrasive. 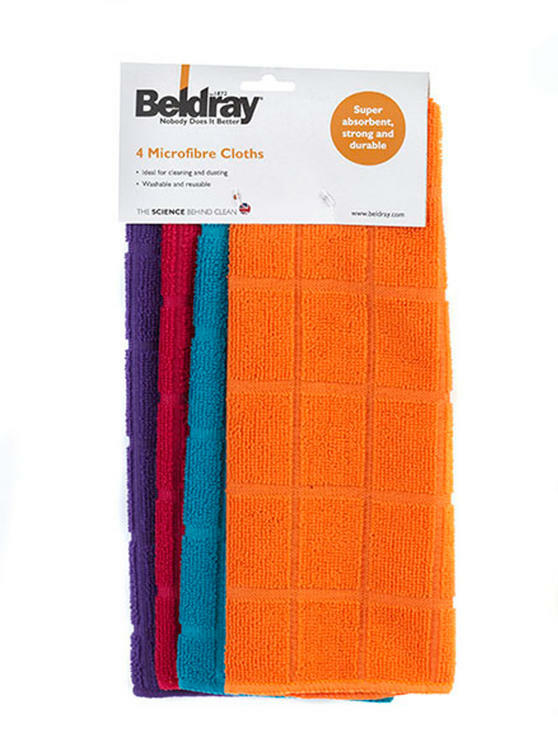 A pack of 4, the colourful microfibre cleaning cloths contain millions of fibres which pick up, lock in and contain dirt and grime.